Founded by artist Dawn Sweitzer, Notre Monde combines design and function to create a range of exquisite objects for the home. Each piece uses a mix of textures, layers, traditional printing or hand-finishing techniques for a unique and quality aesthetic. Notre Monde trays come in a range of colours and patterns, allowing you to mix and match to suit your interior. 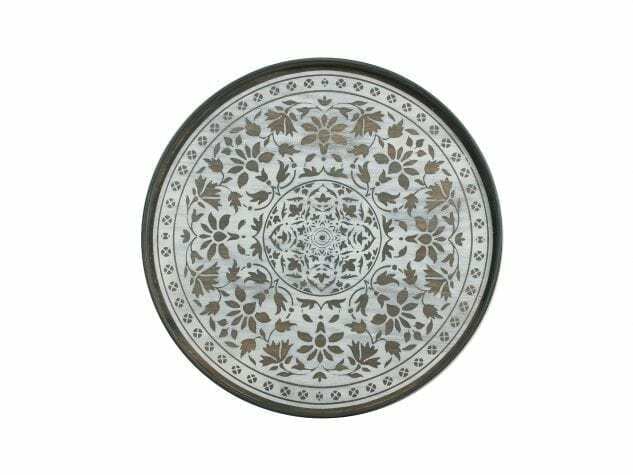 Use one of these trays as an artwork on the wall, as a centre piece for your table or combine it with a base to transform it into a functional table. Tray has a wood edge with wood interior.